Seeking VOLUNTEERS to assist with Festival! Consider becoming a volunteer for the 13th Annual Roseland Cinco de Mayo Festival event which takes place on Sunday, May 5, 2019, in the Roseland area of Santa Rosa, CA. This is an all-volunteer event, from year-round organizers, to our volunteers on the day of the event; we count on community help and assistance to make this another successful event. Each year we need approximately 200+ individuals to help from morning to evening. Give us at least four (4) hours of your time and receive a festival T-shirt, lunch, snacks/refreshments, and the PRICELESS gift of knowing you’ve done your part to give back to your community! Volunteer Coordinator: Caroline Banuelos . Help make this community event a success! Volunteer today. Each year, the Santa Rosa Cinco de Mayo Committee raises the funding necessary to bring this annual event to the community. With your help, the Santa Rosa Cinco de Mayo Committee can continue the tradition. Make your donation today. 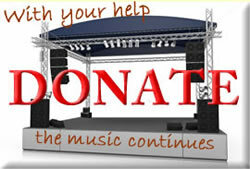 Mail your sponsorship donation to: Santa Rosa Cinco de Mayo, Attn: Rene Meza, P.O. Box 15156, Santa Rosa, CA 95402. Online donations will be accepted soon!